We don’t want to scare you with more statistics about car seat safety. Suffice it to say, you want your seat installed properly, and you want your child to be as safe as they possibly can be in case the unthinkable happens. We’ve put together a list of five things to consider when you’re choosing a car seat. Some are about safety, others about practicality, but all of them are important. 1. Is it easy to install – properly? Which harness goes through which slot? How do you make the seatbelt lock? What happens if Grandma unwittingly unbuckles the safety belt that secures the car seat? There are so many things to think about when you’re installing a car seat, it’s not surprising many parents get installation wrong. The easier it is to do properly, the better. Developed in 1997 by Britax, ISOFIX is an alternative system to secure a car seat in a car. Instead of using a standard seatbelt, the ISOFIX system locks the base of the car seat to a bracket in the adult seat. The top tether strap anchors the seat from the top. The Britax Safe-n-Sound Unity ISOFIX baby capsule is suitable for newborns up to 12 months. While it’s suitable for older babies, the Unity ISOFIX was specially designed and tested for low birth weight and premature babies. The side walls are high to provide plenty of side impact protection, and it’s ISOFIX compatible, making this seat easy to install when you’re still in the newborn fog. 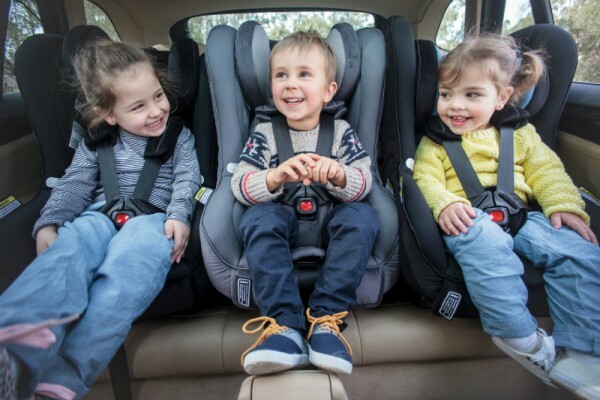 Having your car seat fitted professionally has two key benefits: you’ll ensure that you have safe an correct installation, and you can learn from an expert so you’ll be ready when you want to move the seat yourself. 2. You’ve got airbags, but what cushions your baby in a side collision? It’s awful to think about, but collisions happen, so we have to be prepared. Babies need side protection, especially since their neck strength is still developing. In a side collision, high side walls are important, and so is lots of padding. The Britax Safe-n-Sound Platinum PRO convertible seat has dual layer head and torso Side Impact Cushion Technology (SICT) to give kids plenty of side impact protection. If you’re worried all that cushioning will make your child too hot, the seat is made from Thermo5 fabric with Bamboo Charcoal to make sure she’s always at a comfortable temperature. This ISOFIX compatible convertible car seat allows direct connection to the car’s ISOFIX low anchorage points. It is also suitable from birth to four years, and can be rear-facing from birth to two to three years, approximately. You can rest assured knowing that if you’ve purchased a Britax Safe-n-Sound Child Restraint and you have been involved in a crash you may be eligible for a suitable replacement. The Britax Safe-n-Sound Crash Exchange Program is a voluntary program designed to ensure our children are safe and any seats that have been involved in a severe crash are taken out of the market. 3. How long can a car seat be rear-facing? It’s recommended that you keep your child’s car seat rear-facing for as long as possible. That’s because a child’s spine is still soft and their head size is a huge weight relative to their little bodies. In a crash, a front-facing child’s body is secured with his seatbelt, but his head will be thrown forward which can cause serious spinal injuries. If he’s facing the rear of a car, his head and neck will be fully supported. Many of Britax’s car seats can be installed rear-facing until two to three years of age (approximately) depending on the height of a child. The Safe-n-Sound Millenia is one such seat. It’s a convertible seat that lasts from newborn until approximately four years old. With ISOFIX connectors and side impact cushions, it gives your child a 180 degree layer of protection in a crash. 4. Is it travel system compatible? Good car seats aren’t just safe, they’re practical too. 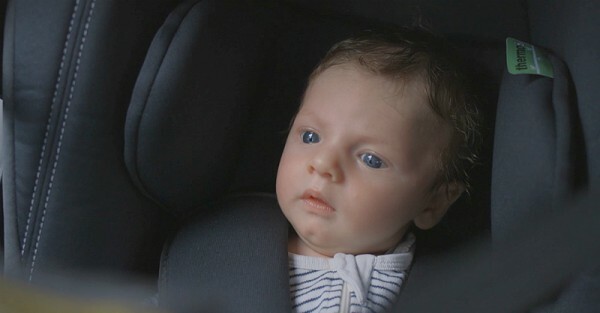 Imagine you’ve been driving around for ages, trying to get the baby to sleep. She’s finally asleep but you’re almost out of petrol, or you desperately need the loo, or you just want to go home. An easy to use travel system will let you clip the capsule off the car seat base and pop it on the pram, or carry it into the house, and if you’re lucky, she’ll stay asleep. The Britax Safe-n-Sound Unity NEOS car seat is specially designed with CLICK & GO adaptors that make it easy to take the seat from the car, to the pram, to the house without disturbing the baby. 5. More babies mean more car seats. Do you have room? You’ve been a parent for a while now, and you’re game to level up. Depending on the age of your eldest, that means double the nappies, double the noise, and of course double the car seats in your car. With all the safety bells and whistles, many car seats won’t fit side-by-side in a smaller car. And many of the seats that will fit are so pared back, they’re not as safe. 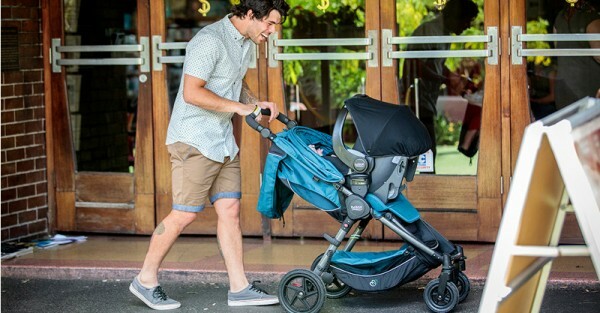 Britax’s Safe-n-Sound Slimm Line has been designed for growing families with small cars. Despite its narrow profile, it still has plenty of side cushioning and high sides to protect kids in crashes. It’s also ISOFIX compatible and can be rear-facing until approximately two to three years, and all the features come in a slim design so that you can fit two or maybe three little ones in the backseat. To buy a Britax Safe-n-Sound car seat, check the stockists for a shop near you.